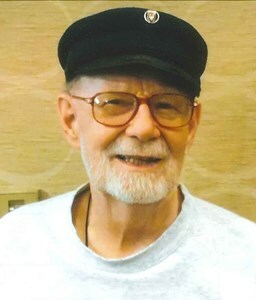 Russell “Jack” Willbourn, 83, of Topeka, Kansas, passed away on Wednesday, January 23, 2019, at Atria Hearthstone Senior Living Community. He was born on June 16, 1935, in Topeka, the son of Russell J. and Alice Czirr Willbourn. Russell graduated from Topeka High School, and studied engineering at Washburn University and the University of Kansas. He worked many years for the State of Kansas Department of Transportation, holding several positions including Supervisor of Accident Analysis and Statistics, Fiscal Manager of Federal Funding, and Manager of Federal Programs. He also served on the Governor’s Child Safety Task Force, on several committees of the National Safety Council, the Traffic Records Committee, and as Chairman of the Data Users Committee. Additionally, he served on the Board of the Kansas Head and Spinal Cord Injury Association, Kansans for Traffic Safety, Traffic Safety for Older Adults, and Kansas Safe Kids. For his services he received the Governor’s Award of Merit, and recognition awards from the US Department of Transportation and Kansas MADD (Mothers Against Drunk Driving). Russell was a US Army Veteran, serving during the 1950s with the 601st Field Artillery Missile Battalion, stationed principally in West Germany. There he met his future wife, Louise Gries, and they were married in the US on August 31, 1959. Both were active members of the Topeka German-American Club (Edelweiss Verein), where Russell served as ambassador of its Carnival society, as he also did for Kansas City’s Germania Club. In 2005, he was presented the William E. Gruening award for his significant contribution in the promotion of German heritage and traditions in the United States. An avid sportsman and Dallas Cowboys fan, Russell, in his retirement loved NFL football on the weekends. He was equally fond of birdwatching. In his younger days he enjoyed playing golf and tennis, and participated in bowling leagues. He won a number of local Best Ball golf tournaments, and bowling and tennis trophies. He and Louise also were avid Bridge players, but the activity they were most passionate about was Polka dancing, which saw them traveling to events throughout the country. Louise preceded him in death on November 20, 2017. He was also preceded in death by his sister, Merdith. Russell is survived by a son, Dr. Dieter K. Kuntz and his wife, Anne of Montgomery Village, Maryland; two grandchildren, Rudi Kuntz of London, England, and Emma Kuntz Jones (Jeffrey) of McLean, Virginia; one great-grandchild, Margaret Jones; and a cousin Colleen Winner, Etowah, Tennessee. The family will receive friends during a visitation at 10:00 a.m. on Monday, January 28, 2019, at Mount Hope Cemetery & Funeral Chapel, 17th & Fairlawn. A funeral service will follow at 11:00 a.m. Burial will follow in Mount Hope Cemetery. The family will host a reception immediately following the graveside service. Memorial contributions may be made to CAT Association, 1719 SW Gage Blvd, Topeka, KS 66604 or to Helping Hands Humane Society,5720 SW 21st St, Topeka, KS 66604. Add your memories to the guest book of Russell Willbourn. I cleaned for Russell and Louise Wilbourn when I worked at atria. They were both happy to see me all the time. Can't believe you both are gone but there's a comfort knowing you are both in heaven. Heaven has gained amazing angels. I was a classmate of Jack's at the old Quinton Heights Grade School. We had 10 or 12 "students" in each class and the building has long since been taken down. I lost track of Jack and I am so sorry about that. As I recall he talked a lot about Texas so no wonder a Cowboy fan. I never heard anything about Texas afterwards without thinking of Jack. He was a "cool dude". God Bless. Larry B. Topeka High Class of '54 !